Can you believe it? A blog of my very own! I am still a little shocked that I decided to jump into the deep end of online blogging in the education world. I haven’t blogged online since the days of LiveJournal! However, recently I decided that I wanted a place to share my ideas, thoughts, suggestions, and even collaborate with other teachers. One of the greatest parts of my TPT adventure thus far has been the amazing support I’ve received from teachers all over the Internet! I vowed to make 2015 the year of change and I am making it happen – even in an organized and beautiful kind of way! 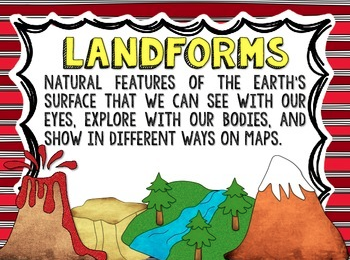 A while back I had someone request that I add a piece of my 2nd grade Social Studies Chart pack. I placed it on my to-do list over the holidays, but like many of us know, the holidays fly by without a moment to stop and catch your breath! The last two days have been snow days for us Metro Detroiters, so I took the time to fill the request I received (sorry it took so long!). To celebrate the launch of my oh-so-pretty blog, I’m offering the chart pack as a flash freebie! My entire TPT store is on sale through February 4th as well! In honor of having a brand new blog... 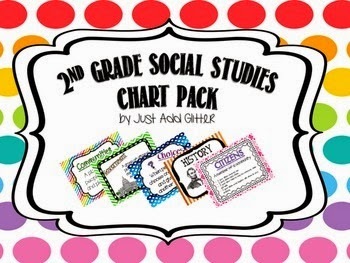 I am offering my 2nd Grade Social Studies Chart Pack as a FREEBIE today!!! It's a flash freebie folks, so you'll want to act fast!